Thursday 6th December 2012 will forever be remembered as being a historic day for Anderson & Sheppard. 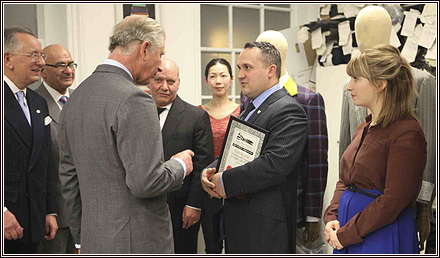 For over 20 years HRH The Prince of Wales has been having suits made with us, and Mr Hitchcock usually visits the Prince at Clarence House. 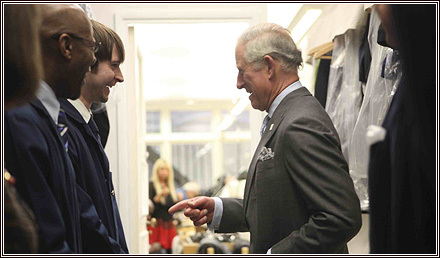 But on this day he kindly paid a visit to our shop at 32 Old Burlington Street. 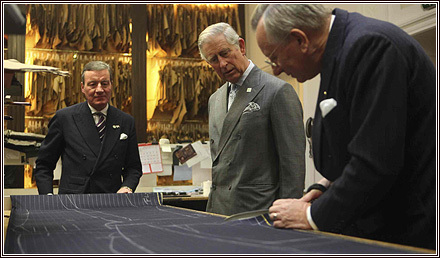 A visit where he would meet with our young apprentices, cutters and tailors. His Royal Highness is renowned for his sense of style. 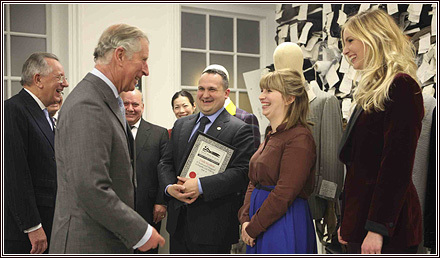 He is the patron of The Campaign For Wool and a passionate supporter of Savile Row tailoring, and in particular the apprenticeship schemes in place to secure the ongoing success of our trade. All those who were present will, no doubt, remember the day and be inspired by it for the rest of their lives. 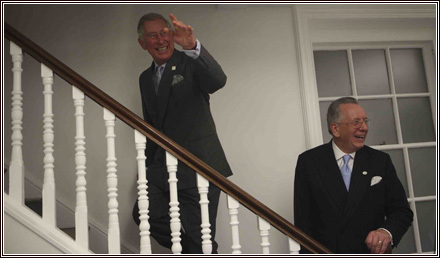 After much anticipation and preparation, His Royal Highness arrived. He was greeted by shareholders Mrs. Rowland and Mr. Hitchcock who introduced him to the rest of the team. The Prince found it both interesting and amusing to discover that his original set of measures were recorded for discretion as ‘Mr. Charles Smith’. He kindly sat for a moment at the shop desk and signed the measure book. 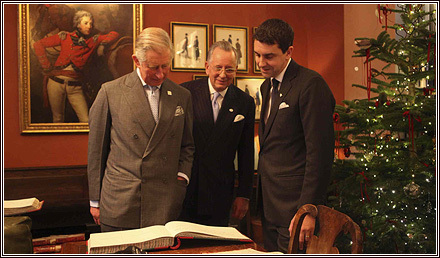 His Royal Highness was then shown a number of our ledgers that host many historical figures and customers of ours over the years. 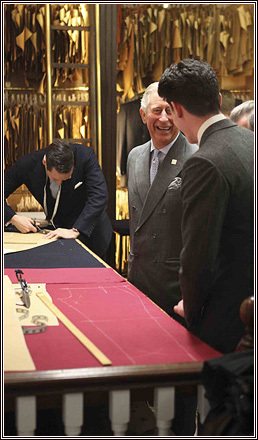 Moving towards the cutting room, the Prince passed the cloth bunches and hanging lengths by the fitting rooms – showing great interest in them and expressing his preference for light weight cloths. 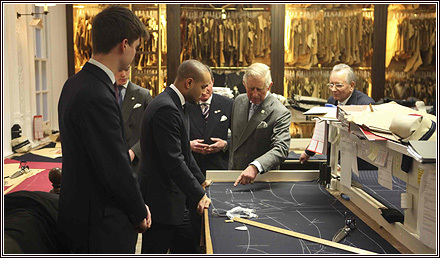 Next up was the cutting room where His Royal Highness witnessed a host of activity, from garments being struck out to some being cut. 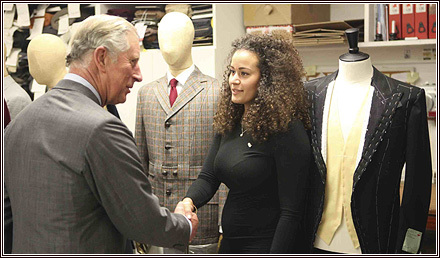 While downstairs the Prince met with more of our young apprentices and tailors and was interested to learn from each of them. He met every member of staff – spending time to understand their role and congratulate them on their achievements and awards. 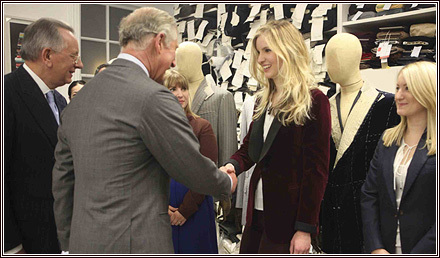 “Meeting Prince Charles was a great experience. 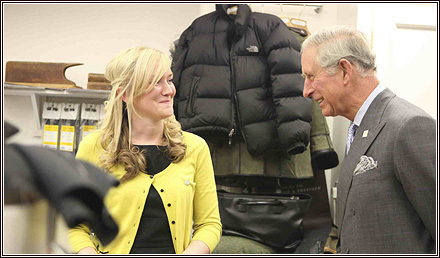 I enjoyed talking to him about my apprenticeship and everything I’ve learnt so far. Initially I felt quite nervous, but his relaxed approach made me feel at ease. It was a great day I’ll remember for a very long time”. 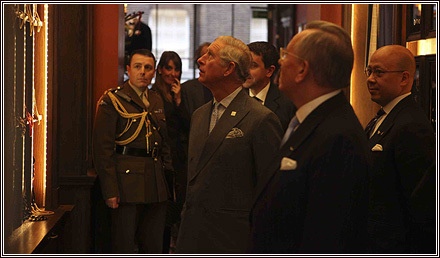 Staying far longer than was planned, His Royal Highness then made his way to the front door and to his car. His visit was over, but it was a day we will never forget.